To C. Barnett Esq., Master of the Hunt This Print of J. Ward, Huntsman to the Cambridgeshire Hounds on Forester. 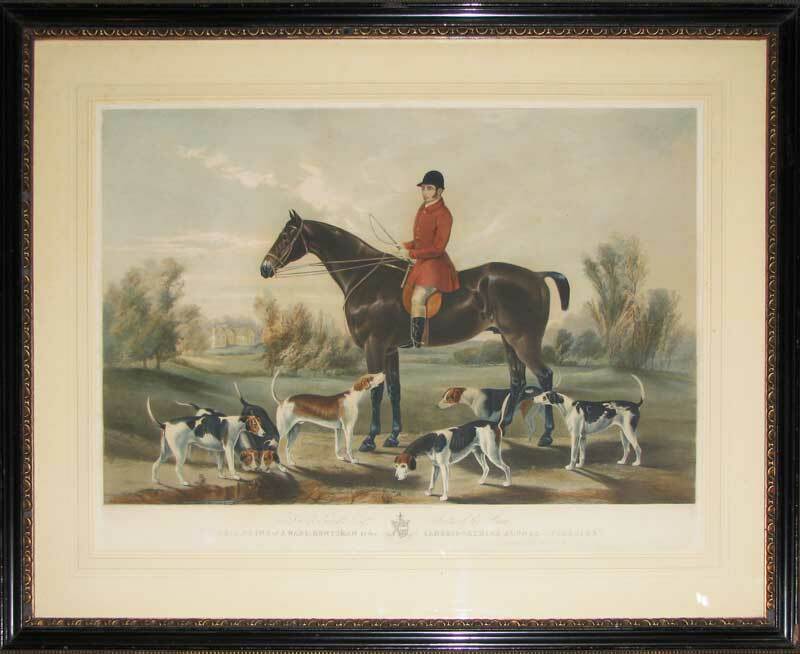 A classic pose of the mounted huntsman and his hounds in front of the family estate.